The Antimonopoly Committee of Ukraine (AMC) has imposed a fine on fugitive Ukrainian businessman Serhiy Kurchenko in the amount of UAH 15 million, chairman of the AMC Yuriy Terentyev wrote on Facebook. "The long investigation, during which as a result of close cooperation with the Prosecutor General's Office of Ukraine and the Security Service of Ukraine the relations of control and the ultimate beneficiary and acquirer of Brokbusinessbank were determined, has been completed. The AMC made the decision on the case of economic concentration - the acquisition by Kurchenko and a group of related persons of Brokbusinessbank. Kurchenko was fined UAH 15 million," he said. 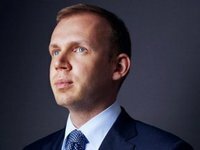 As reported, on March 7, 2018 Kyiv's Pechersky District Court granted the petition of the Prosecutor General's Office of Ukraine, permitting to conduct a special pretrial investigation into criminal proceedings on suspicion of Kurchenko of creating and ensuring the activities of a criminal organization with the aim of committing serious and especially grave crimes. Kurchenko was charged with ten episodes of criminal activity. The losses caused by the criminal organization, whose active participant is Kurchenko, exceed UAH 14 billion.